Kim Kardashian and Kanye West ditch their plans to marry in Paris, France in favor of Florence, Italy. Rapper Kanye West and his fiancee Kim Kardashian will exchange vows in Florence, Italy following a pre-wedding party in Paris, France, according to a new report. The couple is set to tie the knot on 24 May and a recently-leaked wedding invitation revealed guests had been summoned to Paris to celebrate the nuptials. However, sources tell ETonline.com that around 100 attendees will be served dinner in Paris, before boarding private jets to fly them to Florence, where the actual ceremony will take place. West and Kardashian’s plans to become man and wife in the French capital hit a snag last month when they discovered French law required foreign citizens who wish to marry there must live in the country for 40 days before the wedding. Reports suggested the pair would exchange vows during a civil ceremony in Los Angeles ahead of the European nuptials, but the bride-to-be took to her Twitter.com blog last week to dismiss speculation she and West had already married in secret. 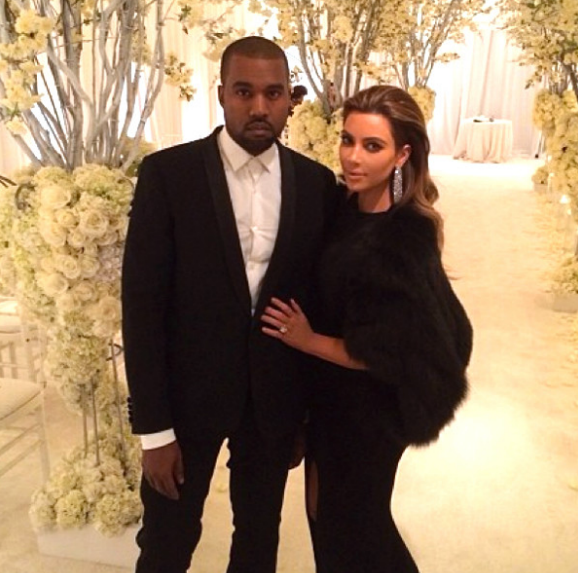 The couple, parents to daughter North West, has been engaged since October.